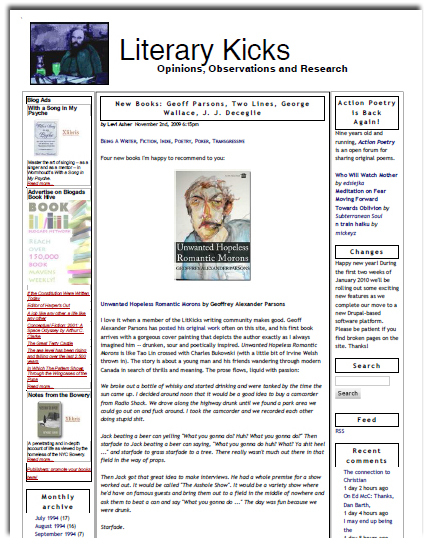 "Unwanted Hopeless Romantic Morons" by Goeffrey Alexander Parsons reviewed in Literary Kicks. Read the full article here. 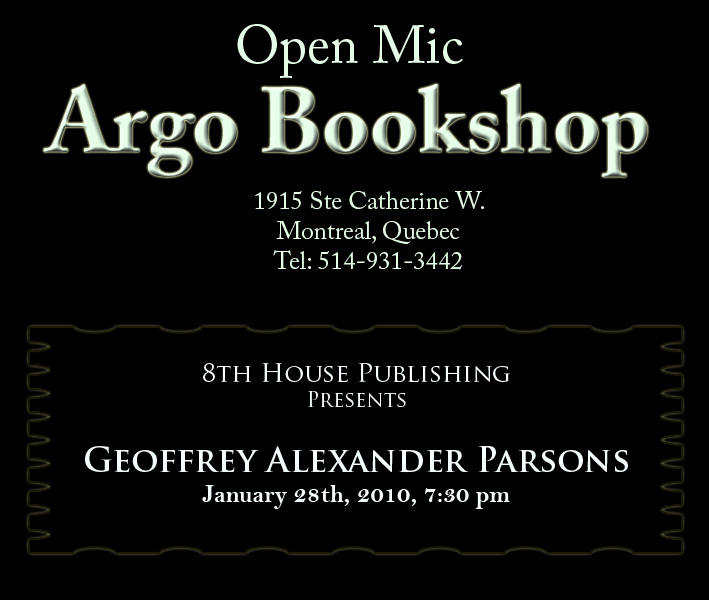 Geoffrey Alexander Parsons will be reading from his latest work "Unwanted Hopeless Romantic Morons" Thursday, January 28th, 2010 at the Argo Bookshop in downtown Montreal. For directions please click here. Refreshments will be served. See the event flyer here. Our phone number has changed - we now have a toll free number. Call us at 1-888-880-7126. Crossing to Tadoussac now on sale! Frederick E. Bryson's Crossing to Tadoussac is now available. Watch the promo video or read more about it here.